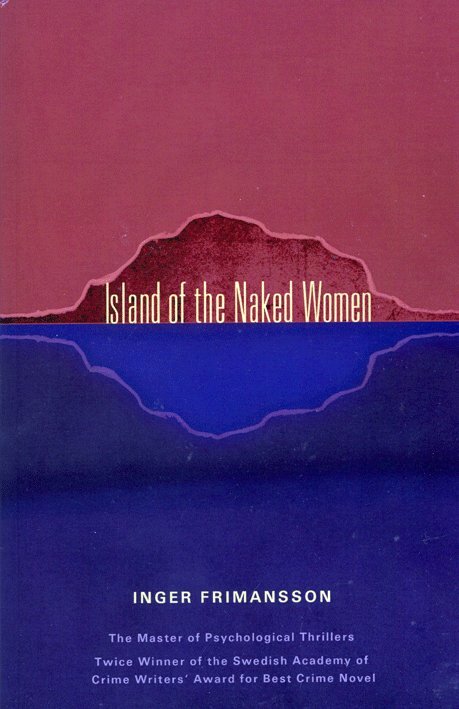 ISLAND OF THE NAKED WOMEN is a book for people who, like me, enjoy character, atmosphere and a compelling portrait of a way of life in a certain place. It isn't one for those who prefer whodunnits, action thrillers or detailed accounts of serial killers and their gory deeds. For the first 100 pages or so, ISLAND OF THE NAKED WOMEN describes the hard life on a small, traditional farm in Kvarnberga, a remote Swedish village. The old farmer, Carl Sigvard, has fallen from the hayloft and is slowly recuperating from his injuries, railing against the loss of his strength and control over his bodily functions. Many years ago, his wife Gorel left him, taking their young son Tobias with her. Now, he has a new partner, the sturdy, younger Sabina, who keeps the farm going with the aid of her son Adam - a boy who has some mental difficulties. A local petty criminal, Hardy, helps out occasionally. Despite Hardy's unpleasant nature, he and Adam get on well, planning together the boy's future career as an Elvis impersonator. Sabina and Hardy cannot keep the farm going alone after the old man's accident, so Tobias, now a published author and living a middle-class life in a Stockholm suburb, returns for a short spell to help in the annual task of herding up the cattle from the titular island (called Shame Island by the locals) where they have been grazing for the summer. The animals have to be transported back to the farm on a wooden raft-like ferry, then shorn and sold for slaughter. Sabina is far more competent at all of these tasks than Hardy or Tobias, but the three of them set up a rhythm which gets the job done, during which time the reader sees events and memories through the eyes of the various characters, becoming gradually more aware of people's histories, issues and tensions between them. After the crime takes place, much of the rest of the book focuses on Tobias. His own marriage has failed, but he has a teenage daughter to whom he tries to relate. His perception is that his marriage failed because his wife is a manic depressive - although some of his memories of her behaviour are quite funny, her few brief appearances in the novel reveal her to be one of its better-adjusted characters. Tobias's main concern is his inability to write a follow-up novel to his well-received crime story featuring a police detective, and how therefore he is going to make ends meet. There are many amusing asides about his hopes of winning the Swedish Crime Writers' Award (which Inger Frimansson has won twice), and wry observations about the publishing and bookselling trade, but the bottom line for Tobias is that his opinion of himself is rather higher than his achievements. He has a devoted girlfriend called Marit, a library assistant, who looks after him when he will let her - but he takes her for granted and is more interested in the sturdy Sabina at his father's farm. Although Tobias is not a sympathetic character, the author really gets under his skin and we experience his Oedipal confusions; his parents' and his own adult failures at providing a stable emotional landscape for their families; his desires for women; and his inner conflict between the values of work on the land compared with his own intellectual (or pseudo-intellectual) pursuits. I thoroughly enjoyed this book, which is a strong candidate for my "best of" list for this year. As well as the satisfying "on the surface" mystery, there is an allegorical aspect to the story, which gives it a haunting quality. The island of the naked women (Shame Island) is where legend has it that, in the olden days, wives from the village who had been unfaithful to their husbands were sent, naked, to fend for themselves. It is presumed they starved. The wives in the story told in the book live in more enlightened times, but is their fate any better than that of their historical counterparts? The book is translated into English by a US publisher, Pleasure Boat Studio, as part of the (new) Caravel Mystery imprint. Laura A Wideburg has done a superb job in conveying the subtleties of the language, and I look forward to reading her interpretations of GOOD NIGHT, MY DARLING and THE SHADOW IN THE WATER, two other novels by the same author and published in the Caravel series. I'm delighted that another small publisher is bringing some excellent novels to an English-language readership.